Spend the Weekend with Fairbanks Arts! Check out a great exhibit and enjoy a reading with two local authors all in one weekend! The Alaska Photographic Center (APC) is a statewide organization formed in 1983, with a mission to promote fine art photography in Alaska. Each year APC seeks out a nationally recognized artist to jury the Rarefied Light show and present a public lecture and workshop. Rarefied Light is Alaska’s largest annual fine art photography exhibition. This year APC received 650 entries by 97 artists. Guest juror Susan Burnstine selected 49 photographs for inclusion in this year’s exhibition. 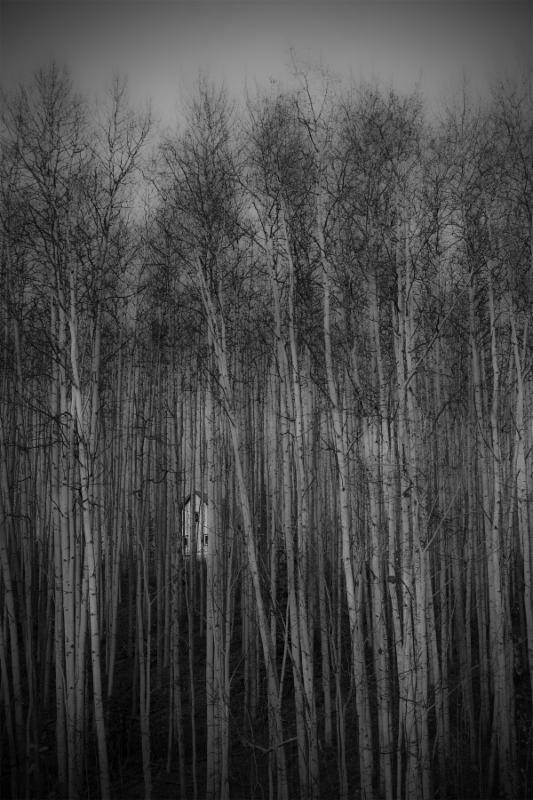 2015 Best of Show was awarded to Kaitlin Wilson, Fairbanks, for the print “House in the Birch Forest”. Other Fairbanks Artists included in the exhibit are Kate Wool, Ryota Kajita and David Dawson. The Rarefied Light 2015 exhibition kicked off with an opening reception at the International Gallery of Contemporary Art in Anchorage on October 2nd, will be on view at Fairbanks Arts Association’s Bear Gallery during the month of December and will then travel to Kenai Peninsula College. Natalie Taylor is a recent graduate of the UAF MFA program and currently teaches at UAF and CTC. She writes creative nonfiction, primarily about her family and childhood growing up in Texas and South Africa. Her work has been published in Prick of the Spindle and Sediments and is forthcoming in Under the Sun. Carolyn Stice writes poetry, fiction, and non-fiction. Her work has appeared in a variety of journals including Cutthroat, Permafrost, Crab Fat, Alaska Quarterly Review, and Painted Bride Quarterly. She lives in Ester, AK.